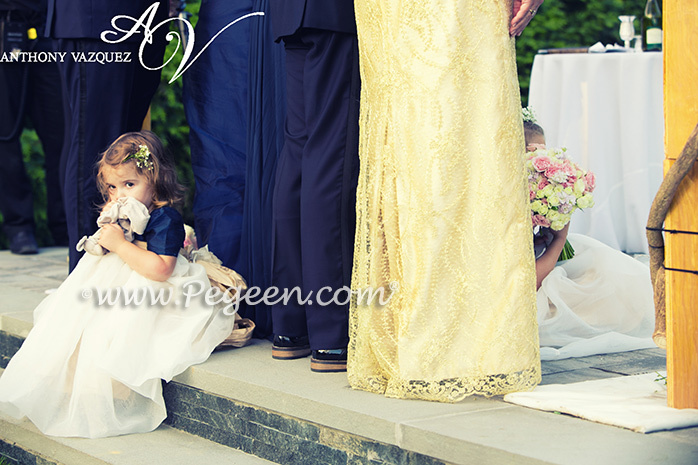 We try each month to feature our favorite wedding of the month in a section called “Flower Girl Dress of the Month” and this wedding was with our customer for whom we just did our third wedding. 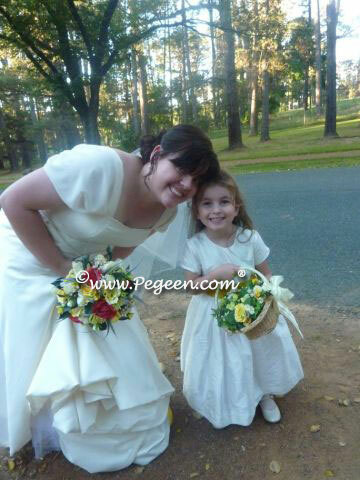 You can see this wedding by visiting our website and viewing WEDDING OF THE MONTH. 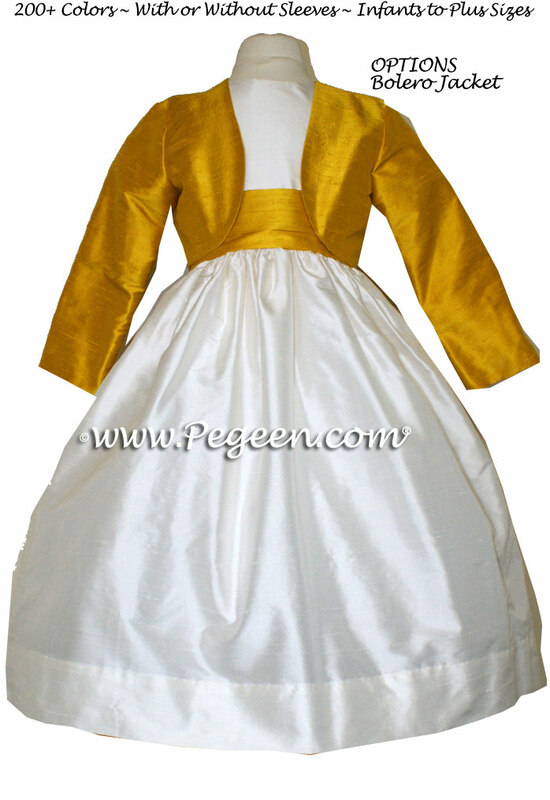 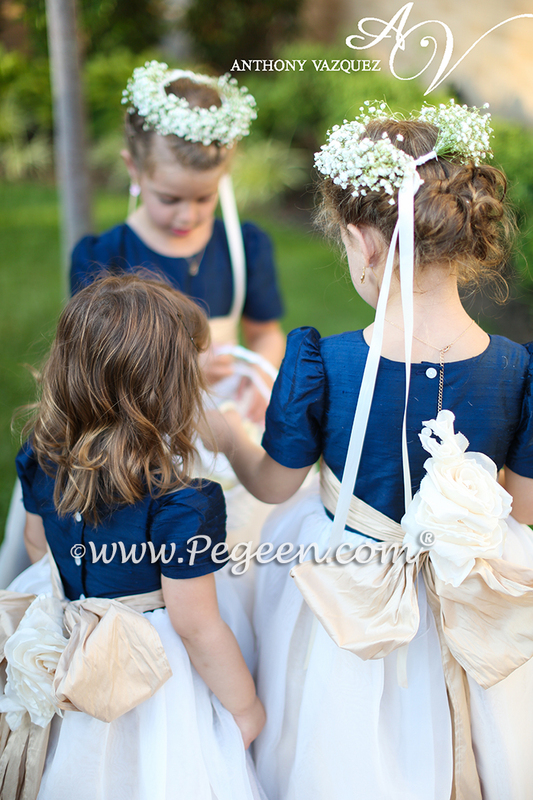 We used Pegeen Classic Style 802 in navy blue and pure gold to coordinate with the wedding party.